The “but” began on a Tuesday morning, after I started walking from the parking lot to the front door of my office building. I began feeling short of breath. No matter how deeply I inhaled, it felt like my lungs weren’t filling up completely. At first, the feeling just seemed odd—nothing serious, just…weird. By the time I climbed the flight of stairs to my floor, the feeling had grown worse. Along with the shortness of breath, I could feel my heart racing in my chest. Stopping to talk to a colleague on the way to my office, the mere act of speaking left me practically gasping for air. I cut the conversation short and continued to my office. Sitting still made me feel better, but not great. 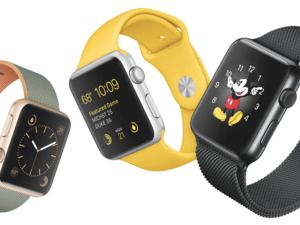 It was then I thought about the heart rate sensor on my Apple Watch. I opened the Heart Rate app, curious to see if my heart rate was actually elevated or if it was just my imagination. It read 118 beats per minute. Definitely not my imagination—my normal resting heart rate is in the low 70s. As I sat at my desk that morning, I frequently checked my heart rate with my watch. No matter how long I was at rest, it never dipped below 100 beats per minute. Still, I kept trying to convince myself it was something that would just pass. I had too much to do, lots of work to finish, and I was scheduled to leave that afternoon on a 780-mile drive with my family to celebrate my daughter’s graduation from her Master’s program. It was a trip I’d been looking forward to for months—and I wasn’t about to let a little shortness of breath mess it up. By lunchtime, I had made up my mind not to mention anything to my wife and to go ahead with our trip. I was thinking about packing lists and making a mental note not to forget my Apple Watch charger as I walked down the two flights of stairs to the cafeteria. The shortness of breath returned, but I was determined to ignore it. I started to carry my lunch back up the stairs and the gasping returned. The pounding of my heart became so strong I could feel it in my ears. I felt so winded I had to pause on the stairwell—I just didn’t have the strength to go on. I raised my Apple Watch again and swiped up to view the heart rate glance. 138 beats per minute. 140. 144. That’s usually my heart rate during a good elliptical workout, and here I was, standing still on a flight of stairs. If not for the Apple Watch, I wouldn't have known what my resting heart rate should have been, or that my elevated heart rate was definitely a cause for concern. My nurse ran the rest of my vitals, including blood pressure (very high) and an EKG, which she sent to the company doctor on call. Although she never said it outright, I’m pretty sure she suspected a heart attack. So did the paramedics who came and took me from my office in an ambulance and fed me nitroglycerin. In what was probably not my brightest move of the day, I tried to bargain with them to let me drive myself to the hospital, and when that failed, insisted on walking to the ambulance instead of being wheeled out on a stretcher. The rest of the story is fairly straightforward. It wasn’t a heart attack after all – in fact, my heart was very strong, which probably saved my life. As it turned out, my leg was throwing out blood clots—lots of clots, I learned. Those clots were traveling up to my lung, where they were blocking the arteries to my heart. One became what’s called a “saddle clot,” meaning it was wrapped at the fork of two pulmonary arteries, blocking the flow of blood in both. It was that blockage that was making it hard for my heart to move enough oxygenated blood to keep my body going. That’s what was causing both my shortness of breath and rapid heartbeat. 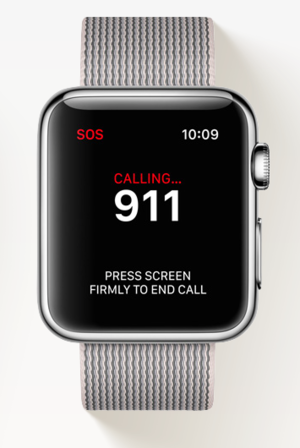 In the upcoming watchOS 3, I'll be able to hold down the side button to engage the SOS feature, which can call 911 for me if I ever have another medical emergency. What confounded the doctors is that I didn’t have any of the usual triggers for blood clots: I had no recent trauma, no recent prolonged airplane travel, and no family history of blood clots. My job is fairly sedentary, but not unusually so, and my commute is long, but not long enough to convince the doctors it was a contributing cause. A blood test would later reveal that I have “Factor V Leiden,” a genetic condition in which 5 percent of those age 50 and older who have it develop clots. I also later learned that a grandfather who I thought died of a heart attack actually died from a cardiac embolism, a blood clot that reached his heart. If I hadn’t gone to the nurse when I did, I might have shared his fate. My blood is now kept therapeutic—or “non-clotty,” as I like to think of it—by a blood thinner that I’ll most likely have to take for the rest of my life. That’s a small price to pay for remaining upright. 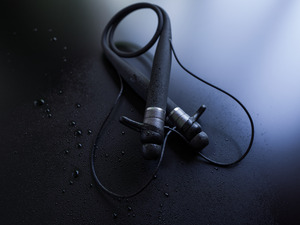 But even more, it’s given me a big incentive to stay on top of my health, and in this age of technology, there are a lot of things that make that easy to do. For me, the key metrics to watch are my blood pressure, my heart rate, and my “pulse ox”—the amount of oxygen present in my blood. The amazing health team that cared for me in the hospital did that using very expensive technology that they wheeled into my room every couple of hours. I get those same tests when I go for follow-up visits to my doctors, but I wanted to stay on top of my numbers in between visits too. I looked into the available options and ultimately chose two pieces of equipment. The first is Withings’ Wireless Blood Pressure Monitor. Like a conventional cuff, it wraps around my arm and inflates to measure my blood pressure. Withings' monitor is easy to use and I love that it supports HealthKit to send all my data to the Health app. Unlike conventional monitors, it’s operated through an iPhone app and is completely wireless, requiring no stethoscope or other cables. 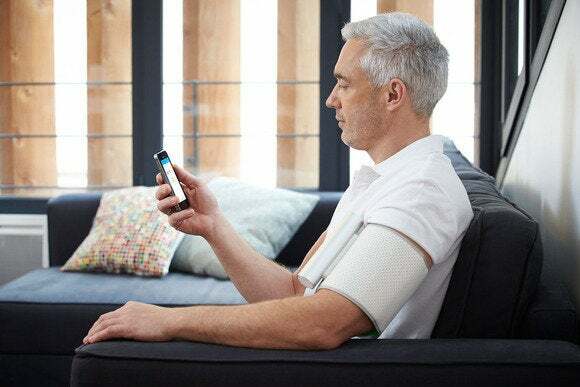 Just press a button on the tubular device attached to the cuff and an app automatically launches, controls the measurement, and delivers your results. To ensure consistent results, you can set the cuff to take three consecutive measurements. All results are stored in the Withings app, so you can see trends over time, and the information can be shared with Apple’s Health app if you want. The other device is the MocaHeart, a small, flat, rounded rectangular device about the size of a stick of gum. 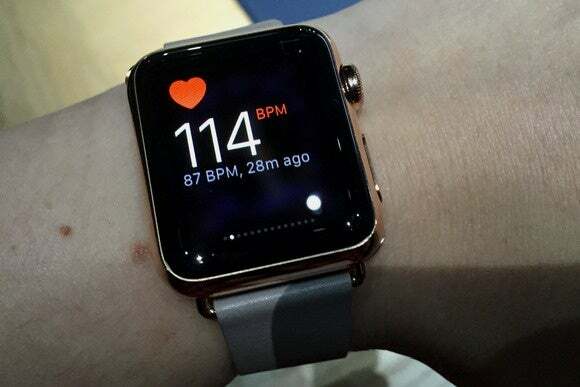 It measures your heart rate (yes, your Apple Watch already does that), but more impressively, it measures your pulse oxygen level. And again, it keeps track of historical data so you can view trends over time, and it shares data (with your permission) with the Health app. 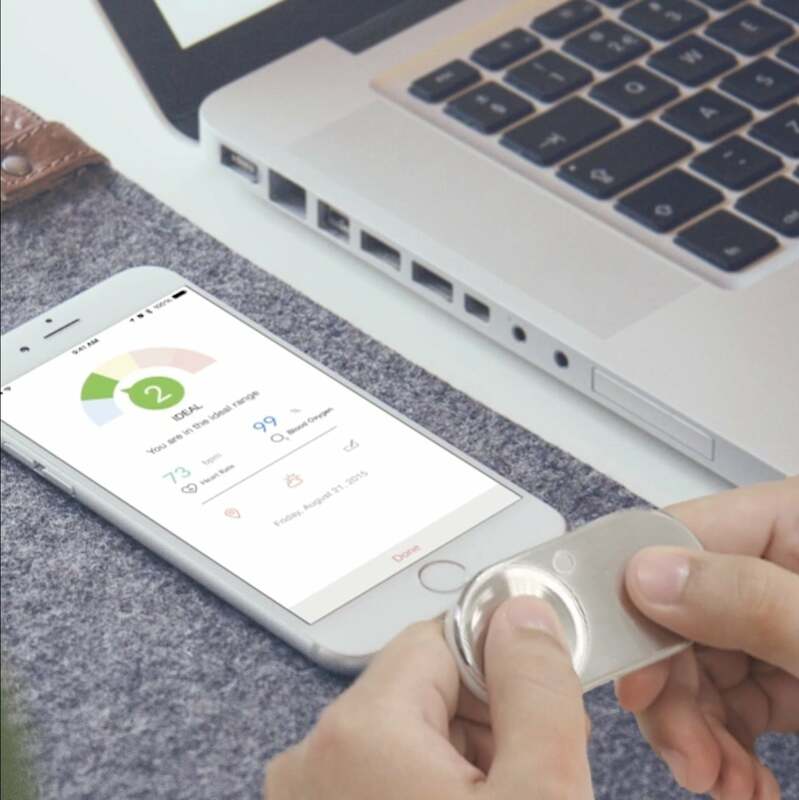 The MocaHeart is a small device you hold in your hands to get readings, including blood oxygen levels. Having gotten the chance to compare these consumer-level devices against hospital equipment (not an experience I’d recommend), I’m blown away by the accuracy of both the Apple Watch heart rate monitor, Withings blood pressure cuff, and the MocaHeart. And it’s been incredibly reassuring to have such immediate and easy access to vital health information. Armed with this information, I can make on-the-fly adjustments to the things that impact my health. And although my weight and overall fitness weren’t contributing factors to my health scare, my experience has made me much more aware of the things that influence my health. I keep a much closer eye on the Activity Rings that my watch reports on every day, and I’ve been keeping a more active lifestyle. That includes things like exercising—and tracking that exercise—on a treadmill and elliptical, and getting out more on my kayak and my bike (a “thanks for not dying” present from my wife). 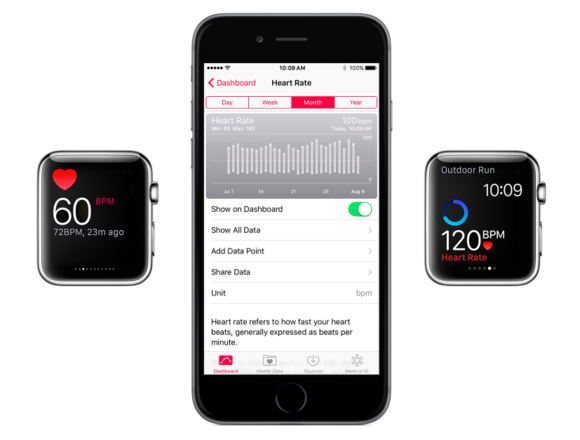 Did the Apple Watch really save my life? I’m convinced it did. Without it, I believe I would have found a way to rationalize my symptoms. I believe I never would have gone to the nurse. And I believe I would have gone on—or at least started—that 780-mile road trip that afternoon. I don’t know for sure what I would have subjected my wife to on that long drive, far away from home, but I shudder to think of what she might have had to deal with. 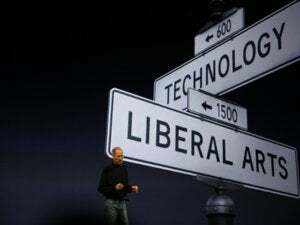 But because I saw the cold, objective, incontrovertible data my Apple Watch showed me, I made a different decision. I chose a different path. And that, as Robert Frost might say, made all the difference.